Restaurant review updates – all the restaurants I’ve been to more than once. Four days ago the talented team at Coobs released their Autumn 2013 menu. Excited about sampling the new offerings, we headed there last night with a friend from abroad. I have already reviewed Coobs in detail, and have now eaten there several times. Each meal has been excellent, charming staff and the situation of the restaurant is very pleasant indeed. The new menu boasts some exciting, original dishes and – importantly – retains those old favourites that many have come to expect. Starters introduce autumnal spices like vanilla and curry, as well as traditional comfort food: melanzane in a tin. 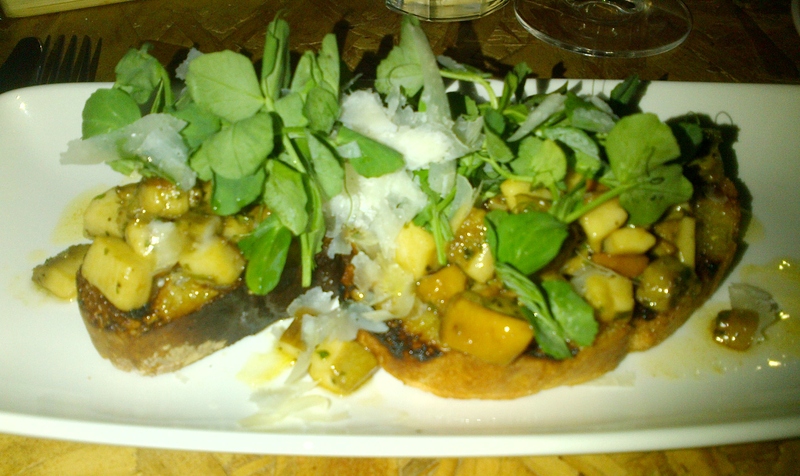 I ordered the pan-fried porcini served on chargrilled ciabatta toast with parmesan shavings and mange tout shoots. I loved this dish, the mushrooms were meaty and flavoursome, and that perfect chargrilled crunch from the ciabatta was excellent. Another in our party really enjoyed the free-range chicken liver parfait served with homemade fig preserve, a ginger syrup and melba toast. The pasta dishes and mains on the new menu retain many of the flavours and ingredients which were used previously. Some of the dishes have been overhauled – more spice, and winter vegetables have been added. Culinary components have been adapted and there are exciting new choices to be made. In terms of the old favourites, I was delighted to find that the farm-reared, organic, acorn-fed wild boar ragu (now with parpedelle) is still on the menu. Pork still features prominently too, as does fish. For mains, I ordered the pork bolognaise with white wine, red onion and fresh basil, served with millirighe. I must commend Coobs on the perfectly al dente pasta – they always seem to get it right. As for the sauce, it was scrumptious, with the red onion adding a crunchy tang I enjoyed very much. The pork is sourced from the Coobs farm – Brightside, so it really delivers in terms of freshness and flavour. 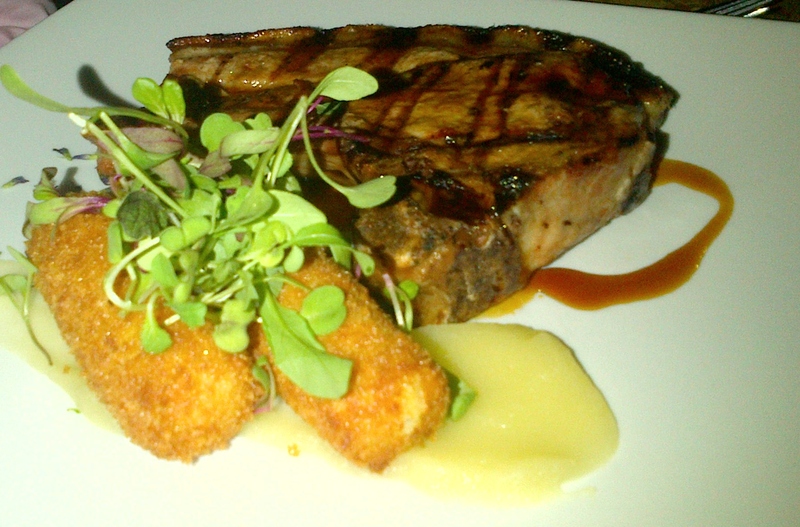 Another new dish we tried was the acorn-fed pork cutlet, served with quince paste, scented pomme croquettes, apple puree and a brandy butter glaze. This dish starts to hint at winter, and delivers that comfort-food feeling without being too rich. The pork was tender and tasty, apple puree was quite fabulous and the dish well balanced. The pudding menu also features some new additions. Amongst these is a rhubarb tart with honeycomb and homemade vanilla bean ice-cream. I sampled one of the new puddings, lemon verbena syrup cake with Cointreau ice-cream. This dish is rather like the Coobs Japanese cheesecake in composition, but replaces it with a denser sponge and stronger flavours. It was accomplished, and – a little tip – it goes beautifully with the homemade limoncello (not on the menu)! The others had the churros – excellent as always. In my opinion, the new menu at Coobs is bound to be a great success. The subtle interpretations of dishes and use of ingredients as the seasons change are all good signs – evidently, James is a chef who really puts a great deal of thought into what goes onto your plate. Furthermore, I always feel privileged when eating dishes the origins of which can be so definitively traced. It is a pleasure to know where ingredients come from, and to know that they have been raised or grown with care. All-in-all, this new menu is not to be missed. As the days get shorter, it is sure to delight and excite as much as ever. Just writing this review makes me feel hungry – and I can’t wait to go back. Highly recommended. Prices: Much the same as previously. Thanks so much coming to try our new menu and thank you for the review. 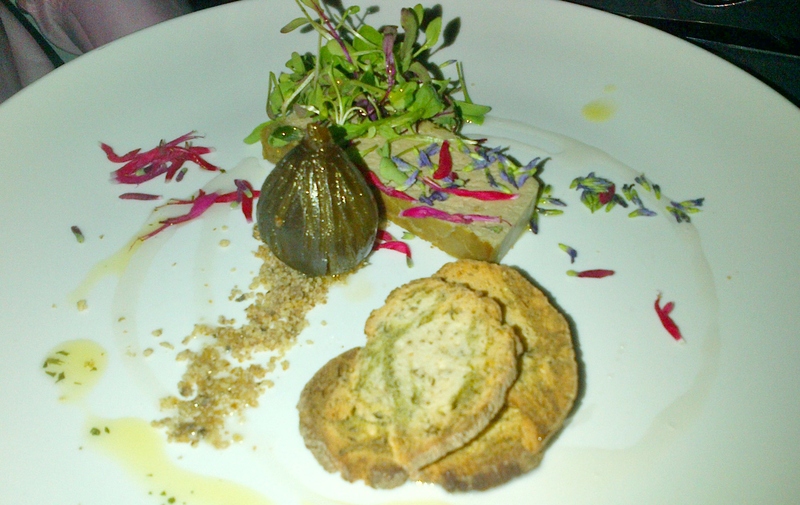 On Saturday night (11th August 2012) I went back to YuMe in Parkhurst. I first reviewed the restaurant in July and you can see the review here. The dim-sum fillings were much more generous than last time. Applause to YuMe management and staff – these small changes have made such a difference. The Bruce Lee. It’s a rocket, salmon and cream cheese California Roll constructed, quite literally, inside a tube of calamari. The whole thing is then lightly tempura’d and it is scrumptious. The rich, creamy sushi filling complements the hot, crispy calamari which boosts flavour and texture. The Gong (California) Roll: Tempura fried tuna, asparagus and melted cream cheese. A perfect tempura dish for those with shellfish allergies. Revisiting YuMe was such a pleasure, I am bound to become a regular and I’m sure ‘Yu’ will love it too.